What Kind of Chiropractor Is Dr. Pat? If you’ve never been a chiropractic patient before, it might surprise you to find out that not all chiropractors are alike. In fact, one can be vastly different from the next. It’s important to us that you understand what we do and why we’ve chosen our approach to care. This chiropractor focuses on relieving your immediate symptoms. An examination may or may not be involved, X-rays are usually not taken, and your adjustment frequency is dictated by what your insurance will pay for. Your treatment times are then reduced, leaving you without a resolution to the underlying cause of your problem. You may feel better temporarily but with the root of the issue uncorrected, you’ll either have to return for further attention or try once again to live with the pain. 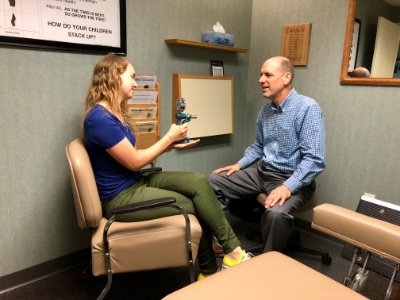 Seeing little value and potential harm in looking only at your symptoms, Dr. Pat seeks to help you feel better while getting to the cause of your problem. He evaluates your needs during a thorough examination and the taking of the appropriate X-rays, which can then serve as a guide in your care. Your customized plan of treatment ensures your adjustments are appropriate for your particular situation and focus on achieving the maximum amount of correction as quickly as possible. What’s right for you? Consider your individual health goals. Are you seeking temporary relief or the maximum correction and highest levels of wellness? Dr. Pat uses traditional, hands-on chiropractic techniques to help you to better health. Specific, effective techniques will be selected for you based on your needs and comfort. These techniques include trigger point therapy that is helpful for chronic pain and scar tissue. The most gentle of methods are available to help children, babies and seniors. Nutrition is available to our patients and acts as a wonderful complement to your chiropractic care. 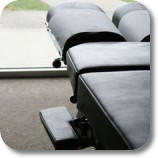 Many people might be wondering, what is chiropractic, exactly? Chiropractic addresses the communication between your brain and body. The spinal cord carries every message from your brain to every organ, tissue and cell, making its perfect function of vital importance to your health. Misalignments in your spine (subluxations) prevent this optimal communication from happening and result in your feeling pain or other symptoms of malfunction. Chiropractic will address the structural needs of your body. The nutritional counseling our patients can choose to receive makes sure that your body is getting fed exactly what it needs. Dr. Pat is certified in nutrition by the state of Wisconsin. Your nutritional counseling will begin with a thorough visit to determine where your body is deficient in certain nutrients. All the products you’ll need to supplement your health are available at our office. We carry Standard Process whole food supplements, made right here in Wisconsin and of the highest quality. Don’t let pain take over your life. Contact our office today to get started!